Mozambique is a perfect illustration of the tremendous potential of many African countries today, as well as the complications left by a colonial legacy. Portugal relinquished control in 1975 after an armed uprising by the Mozambique Liberation Front, also known as Frelimo. However, in the power vacuum that accompanied so many hasty colonial withdrawals from Africa, a civil conflict broke out between Frelimo and rivals Renamo – funded at the time by white minority governments in Rhodesia and apartheid South Africa as retaliation for Frelimo’s support for indigenous groups in those countries. In the 80’s, visionary President Samora Machel began the reforms and peace talks that would eventually lead to the end of conflict and a multi-party democracy in 1992. Frelimo have remained in power ever since but, at least until recently, Renamo have respected the democratic process and resisted violence. Peace has slowly transformed Mozambique from a place of destitution and destruction to one of Africa’s brightest hopes. Its capital, Maputo, is one of the most pleasant cities on the continent, and holidays and weekends see an influx of affluent South African tourists to resorts along Mozambique’s Indian Ocean coast, eager to enjoy some of the finest beaches and piri-piri seafood in the world. A relatively stable and responsible government has been a big draw for international donors, who have consequently poured aid money into Mozambique in the past 20 years, allowing rebuilding of key infrastructure and development of a lucrative coal industry, which has been powering economic growth around 8% over the past decade. With a young and vibrant workforce, and recent discoveries of substantial natural gas reserves, Mozambique looked set to ‘take off’, with foreign investment to replace aid and deliver broader and more sustainable economic growth. But in the past few months, simmering tensions between the old civil war enemies have been exacerbated by contested electoral reforms leading up to a November election. There have been sporadic incidents of violence against government troops in the Renamo stronghold in the centre of the country, and threats to sabotage the railway line which runs from the resource-rich north-west to coastal ports and the capital. A return to conflict would not only be bad for those immediately affected, it would reverse the positive trends in foreign investment and the development of industry, and return Mozambique’s economy to a dependence on aid and its population to a reliance on subsistence agriculture. ChildFund Ireland remains optimistic that these two parties can settle their grievances peacefully and prevent a slide back towards the violence that Mozambique has fought so hard to escape from. 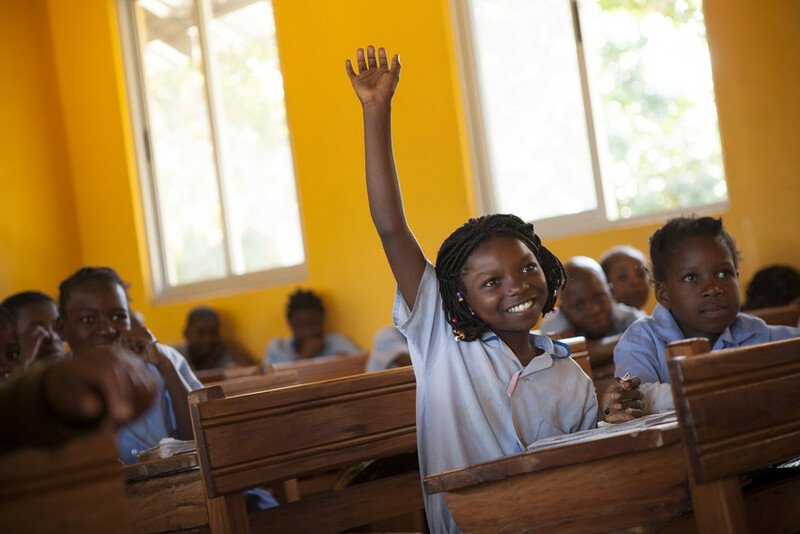 In any case, we will be there, working with local partners to ensure that children in Mozambique can look forward to a brighter future than their parents. If you would like to join us in this effort, you can sponsor a child in Mozambique, or alternatively you can support our Direct Action project to create an Early Childhood Development centre for a community in Zavala district.